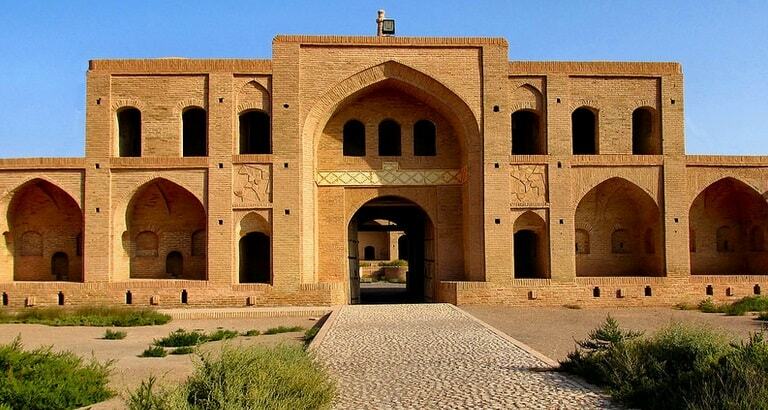 This Caravanserai complex is located 105 Km east to city of Shahrood, between cities of Shahrod and Sabzevar on the main road between Tehran and Mashhad, in the ancient Silk Road,or as in Persian, the Rahe Abrisham. This gives the road a great importance that has been obvious through out the history of region, and it has played a great role due to its historical, cultural and pilgrimage characteristics. This complex is one of the largest carvanserai complex in Iran. This complex, which is located inside the Dashte Kavir the desert plate, contains an extraordinary buildings, including three Caravanserai, three traditional water stores, one place for hours hosting, and one castle, with total area of 15000 square meters. One of the Miandasht Caravanserai at this complex belongs to the Safavid era, and the other two belongs to the Qajar period. from the differentiation point of view regarding details of Caravanserai buildings, indicates a specific type of Caravanserai in Iran, which increases this complex importance. Additionally the specific geographical location, and its situation between Touran Desert, to the south, and the Khush Yelaq woodland, to the north, has increased its natural beauty, including some wonderful landscapes, and its extremely cold weather, with snow fall in winter, and extremely hot summers have made it very special.